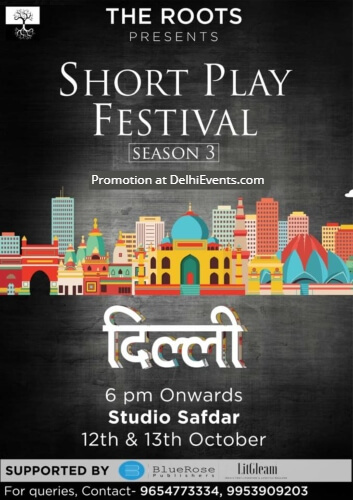 Delhi will be the second city to host the Season 3 of The Short Play Festival presented by The Roots. The Short Play Festival is the only non-competitive Short Play Festival happening Pan India at the moment . It's a platform for artist related to theatre to come and experiment their work. This platform believes in the right of Expression of an artist and that is why it provides as much artistic liberty to its performers as possible.